Mysore, the palace city of Karnataka has many attractions like Mysore Palace, Lalitha Mahal Palace, Jaya Lakshmi Palace, Vrindavan garden, Karanji and Kukkarahalli Lake. If you are planning to visit this city then having a comfortable stay will make your trip enjoyable giving you complete peace of mind. 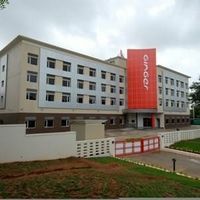 If you are looking for low-budget Mysore hotels or luxury hotels for a comfortable stay then Cleartrip offers you the best options to stay. To avail our best deals and offers, pre-book your hotel. 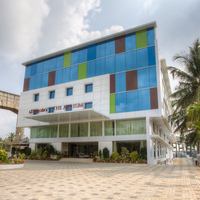 Cleartrip offers you a wide range of hotels in Mysore like budget hotels, 3-star hotels, 4-star hotels and 5-star hotels. You can also choose from home stays, resorts and heritage hotels as per your choice and budget. 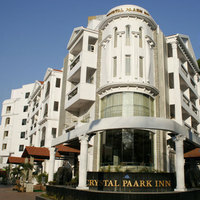 All basic amenities are there in 2-star and 3-star hotel as well. While if you are looking for a pool and another luxury then luxurious five-star hotels are the best option for you. You can book hotels in prominent localities or near the famous landmarks like 7th cross road, Kalawadi Gate, bus stand, Hebbal industrial area, Ashoka road, or Annamalai University, etc. Booking hotel near city center helps you access famous attractions easily. You can get a better feel of the place if you stay in a homestay. Book a Mysore hotel as per your budget and luxury requirement on Cleartrip to get higher discounts and great deals which you would not find anywhere else. 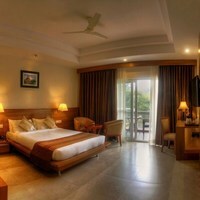 Book a hotel in Mysore and enjoy the cozy comfortable stay without any stress. Mysore is the second biggest city in the state of Karnataka and also one of the well-known cities in Karnataka after Bangalore. Located in the lap of Chamundi Hills, it is known as the cultural capital of Karnataka. It was considered the erstwhile state capital during the rule of Wodeyar Dynasty. Geographically and commercially, this city has its own place in south India. This very old city has managed to retain its gold charm till date and has become one of the famous tourist destinations in India. Also, it is one of the cleanest cities in India. If you are planning a trip to Mysore and want to book a hotel according to your requirement, then Cleartrip is there at your service. Apart from hotels, you can find home stays, boutique hotels, and guest houses in Mysore at Cleartrip. We have a wide range of options to choose from. You can check all other complementary services and facilities provided by the hotels through the Cleartrip website. Basic amenities like TV, AC, room service, and clean interiors are available in all budget hotels in Mysore. 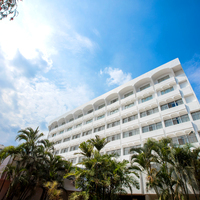 Further, you can choose luxurious hotels as well based on your budget. If you book a star rating hotel, you will get high-end amenities. 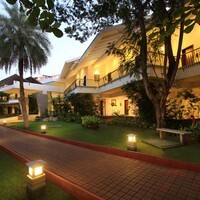 Location: If you are planning to visit Mysore, booking a hotel is not a difficult task anymore. There are so many good hotels available at all price ranges. But, while booking your stay, you should keep the location in mind. You can book a hotel on Cleartrip according to your location preference. Season: The best time to visit Mysore is from November to March. However, during this time the hotel in this city remains packed with tourists. Hence, one must book the hotel in advance. 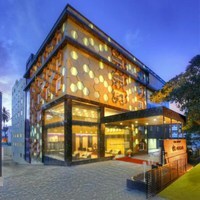 Budget: Budget plays an important role while booking a hotel. You can choose from hotels on Cleartrip that fits your budget. 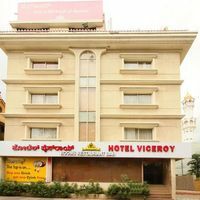 Luxury: If you are looking for a luxurious stay in Mysore, there are many star rating accommodations for you to choose from. You can simply go to the Cleartrip, select the best hotel for yourself. 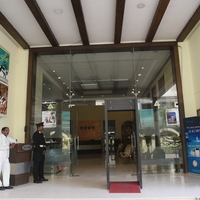 There are many hotels available in Mysore. The price range is quite moderate and you can go for cheap or luxurious hotels depending on your budget. If you book your stay in advance from Cleartrip, you can grab the best deals. 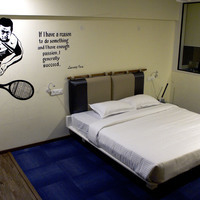 The price starts from 500 INR and goes up to 15000 INR, per night. Mysore is connected with all the important cities of India by road and rail. The city does not have its own airport. You need to reach the Bangalore airport first. Mysore is situated 139 km from Bangalore in the south-west direction. The connection between these two cities is designated state highways, which are well maintained to make your journey smooth. It takes maximum 3 hours to reach Mysore from Bangalore by road. You can opt for ordinary or luxury buses, Government or private buses. In addition, you can find a bus for Mysore in every one hour from the Majestic bus stand of Bangalore. Moreover, the travel agencies and tour operators of other state have their own vehicles plying on this route. Apart from this, you can reach Mysore via train as well. Numerous trains are connecting this city with others. A palace where maharajas used to stay. This is named after a goddess name. This is one of the wonder palaces in Mysore. This is a place of peace and art. It is believed that wishes are fulfilled here. Enjoy an enormous view of nature. This is a high rating visiting spot in Mysore. Mysore has its own unique culture. You can explore the ancient culture and history of palaces with the help of local travel guides. Moreover, you can opt for walking tours in order to know Mysore closely. Your must visit local cloth stores to buy some Mysore silk sarees. Also, the local market has many eye catchy shops of wooden artistic crafts. Local food here is to die for and also taste different. Mysore park is the best place to eat the delicious local foods of Mysore. Bandipur National Park: Located about 80km from the city of Mysore, Bandipur National Park is one of the popular National Parks in India. Shivanasamudra Falls: It is famous waterfall situated in Mandya District of the state of Karnataka. It is at a distance of about 80 km from Mysore. Nagarhole National Park: It is one of the best wildlife sanctuaries in South India and is located 90 km away from Mysore. Shravanbelagola: It is at a distance of about 85 km form Mysore and is famous for Bahubali statute. Srirangapatna: It is one of the popular tourist attractions in the state due to its cultural, religious and historic importance. It is at a distance of around 18 km from Mysore. The city has a tropical savanna climate. The summer here occurs in the months between March and June with temperature ranging between 21 and 37 degree Celsius. The monsoon season comes by June and lasts till September. Winter minimum temperature is 18 degree Celsius. Summers are very hot in Mysore. Also, it is the dry season. Avoid visiting in summers. During the monsoon season, medium to extreme rainfall is experienced here. Winter is best time to visit the city but the hotels are packed with tourists and expensive. It is the most extravagant and biggest festival of the year, celebrated in Mysore in a grand way. This festival is the symbol of victory of good over the evil. Ugandi is held in the months between March and April in order to celebrate the Kannadia New Year. It is one of the most admirable events of this city, which is celebrated in the month of March. The best time to visit Mysore is during winter season [October till February]. Monsoon is also a good time to visit Mysore. Which are the top 5 must-visit places in Mysore? Mysore Palace, Jagmohan Palace, Karanji Lake, Mysore Zoo, Brindavan Lakes, Railway Museum, Krishna Raja Sagar, Lalitha Mahal, Chamundi Hills, St Philomena’s Church Folk Lore Museum and Kukkarahalli Lake are the best places to visit. 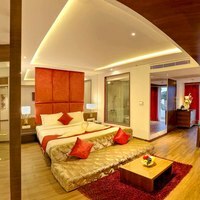 How can I get attractive discounts on hotels in Mysore? You can go through the Cleartrip hotels page. There are plenty of hotels for comfortable stay, right from the budget hotels to standard hotels to luxury hotels. Can unmarried couples stay in hotels in Mysore? There are a few hotels in Mysore where unmarried couples can stay, but they may need to show some valid identity proof at the time of check-in. How can I find hotels near Mysore palace? One can easily find hotels near Mysore place on Cleartrip by entering Mysore palace, Mysore in Where field options on hotels page . You can get hotels based on your budget through Cleartrip. How do I book hotels in Mysore near St. Philomenas Church? 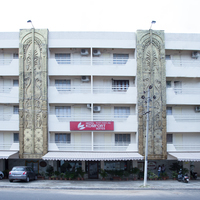 One can find hotels near St. Philomenas Church with the help of Cleartrip. One can go directly to Mysore hotels page and enter hotels near St.Philomenas Church in the place of a locality. Lists of hotels near the specified church will be listed and you can shortlist and choose as per your choice and budget. Do Mysore hotels offer 24-hour checkin facility? Yes, there are a couple of hotels in Mysore that offer 24-hour checkin facility . City Sqaure is one such hotel. Log on to Cleartrip website or app to book these hotels at the best prices. However, one should always contact the hotel before booking to check if they offer 24-hour checkin facility. What can I buy from Mysore? You can buy silk sarees, Mysore Pak, Wooden Handicrafts, Sandalwood products, Incense sticks, Mysore paintings, Rosewood artefacts, stone sculptures, khadi cotton, Channapatna dolls and wooden toys. Can you tell me which are the famous temples in Mysore? Mysore is known for Palaces but it also has many beautiful temples like Chamundeswari temple, Sri Nandi Temple, Gayathri Temple, Lakshmiramana Swamy temple, Someswara Temple and Bhuvaneswari Temple. Can you list the top shopping places in Mysore? There are many shopping complexes to visit in Mysore. The best ones are the hobby place, Meena Bazaar, mall of Mysore, K R Circle, forum centre city mall, BM habitat mall, Cauvery Arts and Crafts Emporium, Devaraja market. One can go to any shopping place according to their convenience. What are the famous sightseeing spots in Mysore? There are many wonderful and famous sightseeing spots in Mysore like Mysore Palace, jayalaxmi Vilas mansion, Lalitha Mahal, Chamundi Hills, St Philomena’s Church, Karanji Lake, Chamundeshwari Temple, Folklore museums, Brindavan gardens, Sri Nandi Temple, Sri Chamarajendra Zoological Gardens, Jaganmohan Palace, Ranganathittu Bird Sanctuary, and Mysore Railway Museum. What are some must do things in Mysore? There are many exciting things to do in Mysore like horse riding, trekking, gaming and bird watching. Suggest a few pubs in Mysore? Some of the best pubs to enjoy with your friends and family in Mysore are fluid pub, Opium Pub, Pelican Pub, Neptune, Venom and Purple Haze. What activities and experiences can I enjoy in Mysore? Apart from visiting the tourist attractions, cycling, kayaking, horse riding, trekking are some things to do in Mysore . How to book a hotel for international guests near Mysore palace? One can easily book a hotel on Cleartrip by following steps. 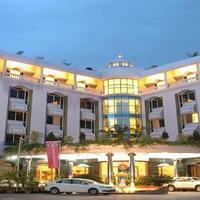 Go to Mysore hotels page and select Mysore palace from the locality dropdown. List of all the hotels near Mysore Palace will be displayed. Which are some good Ginger hotels in Mysore? Ginger Mysore is one of the ginger hotels in Mysore. You can simply select the hotel while filtering your choice of hotels at Cleartrip website. From where can I book a good resort in Srirangapatna in Mysore? Cauvery Sannidhi is one resort in Srirangapatna. Visit Cleartrip website to avail the best deal and for more information on resorts in Srirangapatna . 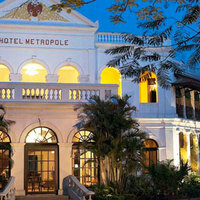 Can you name some 4-star hotels in Mysore? 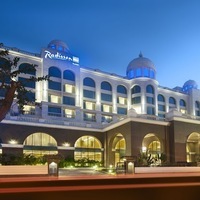 There are many 4-star hotels in Mysore such as Royal Orchid Metropole, The Windflower Resorts & Spa - Mysore, and Royal Orchid Brindavan Gardens. Can you list some 3-star hotels in Mysore? 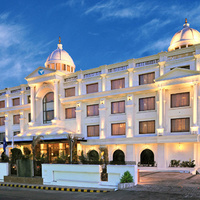 There are many 3-star hotels in Mysore such as Jade garden, Ginger Mysore, Hotel Roopa and much more. All these hotels are available on Cleartrip website. Can you name some Hotels with pool in Mysore? There are several hotels with pool in Mysore. Some of them are Golden Landmark resort, White Orchid resort. All of these hotels can be booked online via Cleartrip. What are the top 5-star hotels to stay in Mysore? 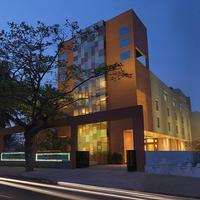 You can get a number of 5-star hotels from Cleartrip website to stay in Mysore. 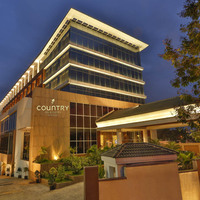 Some of the top 5-star hotels in Mysore are Country Inn & Suites by Radisson, Mysore, Radisson Blu Plaza Hotel, and Fortune JP Palace. How far is Mysore palace from Brindavan gardens? While driving to Mysore palace from Brindavan gardens, it hardly takes 30 minutes and the total distance between Mysore palace and Brindavan gardens is 21kms. Where can I enjoy the best food in Mysore? Vinayaka Mylari, Oyster Bay, Hotel RRR, Tiger Trail, Spring, Hakka, Mahesh Prasad and Indra Café Paras are some of the best restaurants in Mysore to enjoy authentic traditional and local cuisines. What are top places of interest in Mysore? One can visit Chamundi Hill, Mysore Zoo, Mysore Palace, Art Gallery and Brindavan Gardens. 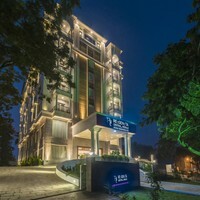 Can you tell me about some budget hotels in Mysore? To get the budget hotels according to your need you just need to set your preferred price in the price option, you will easily get a number of budget hotels in Cleartrip. Some of the budget hotels are White Orchid Resort, Hotel Airlines, Hotel Silver Star and many more. Nightlife in Mysore is not as vibrant as other major cities with just handful of pubs and bars. You can visit Brindavan Gardens to enjoy the musical fountain or can head to any of the pubs and bars. Are there any homestays in Mysore? Tulips Homestay and Guest Inn homestay are some of the homestays in Mysore . For more information, one can check on cleartrip.com. Is Wi-Fi facility available at Mysore hotels? Yes, a lot of hotels in Mysore offer free Wi-Fi to the guests. 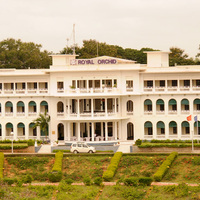 Ginger Mysore and Royal Inn are two such hotels. For more hotels with Wi-Fi , log on to Cleartrip website and avail the best deal. It is always best to check and confirm regarding the amenities befor booking the hotel. Do hotels in Mysore offer bar facility? There are number of hotels in Mysore having bar facility. All of the hotels can be booked online via Cleartrip. Royal Inn and Viceroy are few of the hotels with bar facility. Where can I go for weekend getaways from Mysore? For a weekend gateway from Mysore, you can travel to Coorg, Madikeri, Ooty, Kodaikanal, Kabini, Wayanad, Hampi, Udipi and many more.